A very Happy Week end to you all. Tonight across Britain there will be fireworks lighting up the skies, just like our photo. 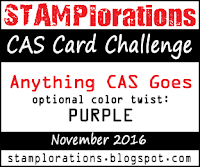 Our Guest Designer for this challenge is my fellow teamie at AAA Cards Jenny. I have got to know Jenny since being on the AAA DT and her designs are amazing. I am very excited to say that Jenny has just joined the DT at Time Out-the challenge I run with fellow Inkspirational teamie Nonni. She is super talented-check out her blog Craftmosh and I guarantee you will be inspired. Ahhh...this is perfection! Love the interpretation of the photo Sandie! I love this colourcombo and this is such a great card! A clever take on the inspiration photo! So beautiful...love your sweet heart! Absolutely perfect reflection of the photo and perfectly colour co-ordinated with the enamel dots. So perfect and beautifully CAS! Hope you have a good sunday! 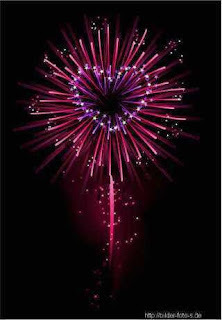 Your 'fireworks' heart is an outstanding translation of the photo, Sandie! 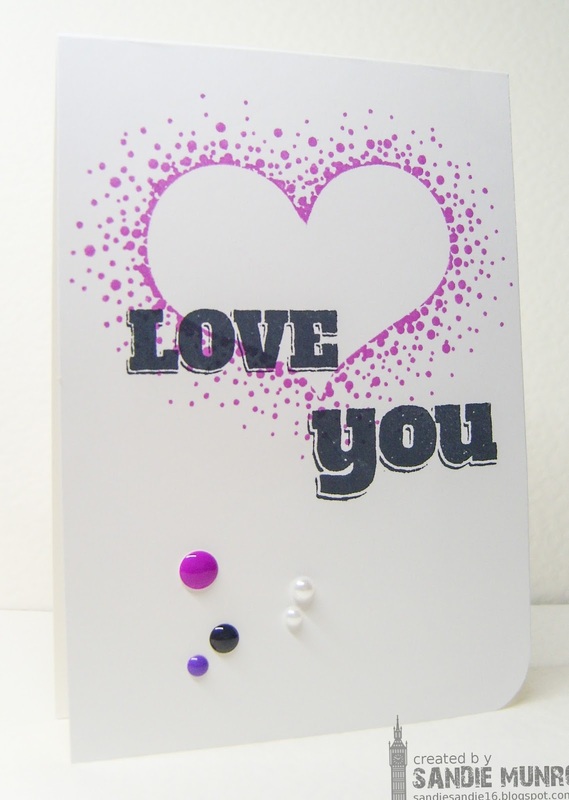 So pretty, especially with the bold "love you" sentiment! Hope you're feeling better; mega hugs coming your way! Love that fun heart. All those dots really make it look as festive as a fireworks heart. That stamp is cute and a bit crunge at the same time, very cool! And perfect take on the challenge photo! You know I find photo challenges extra challenging. I can see many possibilities involving fire work here but wouldn't know how to. But you got the perfect stamp for this. And I love the colors and the perfectly clustered dots and pearls.